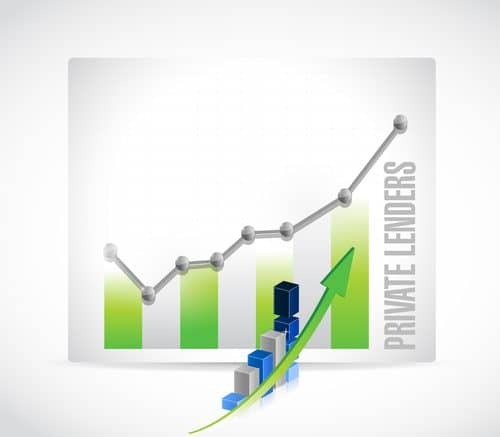 The number of traditional lenders introducing stricter criteria for conveyancers wishing to join their legal panels is growing month by month. Metro Bank and Newcastle Building Society are just two of an increasing band of lenders to set more stringent requirements for any law firms wishing to join their conveyancing panels. The lending institutions in question are, reportedly, requiring a minimum of 120 purchase completions, registered at the Land Registry, annually in order to show sufficient sector experience. Other recent lenders to have adopted stricter criteria for panel membership include Nationwide, which is now requiring law firms wishing to join their legal panels to be accredited members of the Law Society’s Conveyancing Quality Scheme (CQS). The CQS provides a recognised standard for residential conveyancing practices, giving a degree of credibility to outside stakeholders, as well as acting as a fraud prevention mechanism through the use of standardised CQS-recommended practices. Borrowers who decide to use an off-panel law firm are likely to be financially penalised for doing so, as the bank or building society will usually insist that one of its ‘approved’ firms is used for the lending documentation. Arguably these additional restrictions that are being placed on borrowers by traditional high street lenders are simply another manifestation of an industry under growing scrutiny, which as a result is becoming increasingly risk-averse. The Mortgage Market Review, implemented in 2012, forced the high street banks and building societies to apply much more stringent lending requirements. Lenders are now having to apply ‘stress tests’ in order to limit the pool of borrowers taking out larger loans. In addition, the Mortgage Credit Directive (MCD), which comes into force in March 2016, will introduce an additional EU-wide framework of rules for mortgagors. Added to this, the Financial Conduct Authority launched an investigation into competition in the mortgage market in early October, putting further pressure on traditional lenders to put their house in order. All these factors are therefore making the bridging and other short term lending markets more attractive to those unable to borrow from high street lenders. Tools such as title insurance can be beneficial in helping to limit the cost and time taken to finalise loan agreements, whilst accelerating the process which leads to an improved borrower experience with clients receiving funds when they need them. The protection afforded by title insurance goes way beyond that provided by a traditional title investigation carried out by a solicitor and the PII insurance that guarantees their work. This is because protection is provided for undiscoverable defects such as fraud, forgery and undue influence, amongst other covers. The growing limitations placed on consumers in terms of which solicitors they can instruct to carry out conveyancing is also likely to lead borrowers to reconsider their options. Faced with a lack of choice on whom to instruct on the purchase of their property, alternative lenders, who have yet to adopt similar legal panels, may well become an increasingly attractive and viable alternative. Titlesolv is a trading name of London & European Title Insurance Services Ltd authorised and regulated by the Financial Conduct Authority.